Responsible approach, sensible pricing, safe vehicles, skilful drivers are the primary aspects one should pay attention to when determining who to entrust the transportation in a foreign country. 8Rental is the chauffeur service which can freely boast to provide all its customers with the above-mentioned points. 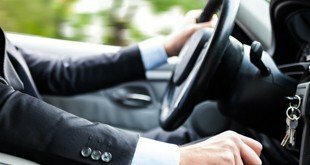 And if you still have doubts whether to hire a car with driver in Poland from 8Rental or not, we suggest you have a look at every point carefully. Operating in the field of car renting in Europe for many years, 8Rental has managed to gain the reputation of one of the most reliable car suppliers. Customers can contact us online or by phone. We are available 24/7. Our CS operators are always ready to answer all your questions, remarks or wishes. Moreover, in case you find no vehicle model presented on the official website of the company suits your requirements, our operators will offer you an optional variant. 8Rental does not love improvising as the latter does not give a safety guarantee. Before sending a car with driver to the destination you mentioned, we scheme the route in details and prepare everything so that you and other passengers (in case you hire a minivan or coach) drive in complete safety. All transfers are operated by a skillful staff of workers. Offering a wide spectrum of vehicle choice, 8Rental cares about all its customers regardless their solvency. The final cost you are to pay is determined by the car model you choose, additional services, as well as the length of the route/the number of hours the vehicle is at your disposal. Stop your choice on 8Rental to hire a car with driver in Poland and save on the cost! By the way, our constant clients can make use of impressive discounts. What refers the price for fuel, it is left to our responsibility. Similarly, we are in charge of the medical insurance for our clients in case of an accident. We are proud to present to your attention an impressively large fleet of vehicles by world's known auto brands. Here you can rent a car, minibus, coach or limousine with a chauffeur and be confident in your safety! Depending on the purpose of your traveling to Poland, you can book a proper car model. We suggest hiring a Skoda Octavia or a Ford Mondeo if you simply need a reliable means of transportation while exploring a city in Poland. However, if you are here on business, you will need an appropriate model to make an impression on your business partners or clients. The line of Business Class cars of 8Rental includes a Mercedes E Class, an Audi A6, a BMW 5 and some other similar ones. Each of them will become the first step toward a successful cooperation.What refers clients who carve for luxury and opulence, 8Rental suggests booking a Mercedes S Class, an Audi A8, or a BMW 7 car. All of these cars are equipped with premium specifications and look gorgeous! Just the same way, rent a limo with driver in Poland and drive royally! We can offer you a Chrysler 300c, a Lincoln Town, a Cadillac Escalade or a Hummer H2 limousine being sure you will take the luxury appearance each of them has for granted! Nevertheless, 8Rental is a chauffeur service catered for different segments of clientele. If you are organizing a tour in Poland for tourists, or are planning to spend a weekend with your family/friends by driving from one city to another, count on 8Rental! We have different models of minibuses and coaches all in excellent conditions. Depending on the number of passengers you are with, pick up Viano (for up to 8 people), a Sprinter (for up to 24 people), or a Tourismo(for up to 65 people) vehicle all by Mercedes brand. They are powered with a number of premier specs you definitely anticipate. Hire a chauffeur driven minivan in Poland or rent a bus with driver in Poland to make your transportation here memorable and utmost comfortable! All our drivers are licensed and acknowledged. They are professional and have much practice in the field of passenger transportation. With our drivers, you are as safe as a church! 8Rental has employed a staff of drivers who are ready to undertake the responsibility of driving foreigners in Poland and making everything so that they stay satisfied with our services. Besides having Polish speaking drivers, we have also those who master other languages. They speak English, Russian, French, Spanish, Dutch, German. 8Rental's drivers know well all the roads and streets of the cities they are working in. Hence, they can take the right direction once the address is mentioned! 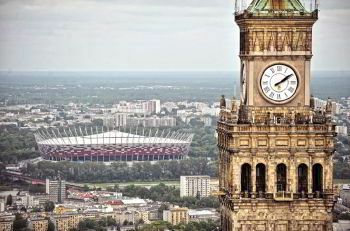 The European country Poland is a wonderful destination for tourists! Its population is around forty million, yet every year over seventeen million tourists visit this country. They come after such fantastic attractions as Auschwitz concentration camp, medieval Malbork Castle, Masurian Lake District, Wieliczka Salt Mine, The Old Town Hall, Wrocław Zoo, as well as skating in Zakopane and sunbathing on Gdańsk Bay Baltic beaches. Whether your destination in Poland is Wroclaw, Warsaw, Krakow, Katowice or any other city, you are welcome to hire a vehicle with driver from 8Rental. With use, you will be able to see the most striking and amazing landmarks in this country. Make your correct selection and hire the car to drive in comfort here!